Many reasons can lead to the formation of mold in your house. The damp can happen in your basement, floors, attic, or inside the wall. The situation is a nightmarish scenario for any homeowner, as the mold damages the house, and will also lead to the formation of fungus that can make everyone at home sick, and is a health risk for all in the house. You need to act fast and look for mold removal option if you want to control the damage before it spreads to all other areas of the house and become a bigger problem to tackle. The main reason that is common in most mold occurrence is the presence of moisture that accumulates and leads to this situation. The moisture comes from leaks in pipes, broken water lines, or break and tear in the wall and window frame. The moisture settles in the house structure. The rising damp can harm the basement, ground floors, and other areas of the house. Other reasons such as unexpected flooding, rainwater entering the house, or a burst of a water pipe can lead to mold formation. These are some of the common reason for this problem. Fortunately, there are ways for you to eliminate this problem. If you observe the mold yourself and it is not widespread, you can do this yourself. Just be careful and use the right tools to scrub away the mold. You need to get a face-mask and make sure you adequately cover your arms and legs to avoid any contact with the mold spores. Just wipe the mold away using soap, and if the mold is dry, soak it in water and then clean it. However, if you have particular skin allergies or breathing issues, stay away from even the most basic mold removing process. If the situation is complicated, you should reach out to the professional mold removal contractors without wasting any time. These companies have technical staff and the right equipment to deal with all visible and hidden mold formation. They will come to your house and check for the mold problem and working on the conditions and the spread of the mold; they will give you proper solutions with a timeline to solve the problem. 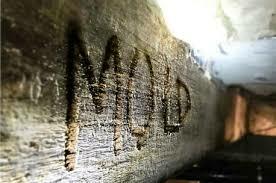 When you face the mold situation, delaying will have severe consequences on your property and your health. The risk is not worth the wait. Just look out for your local mold removal contractors and request a quote for their mold removal services. Depending on the spread it takes from a day to a few weeks to clear your home from mold.